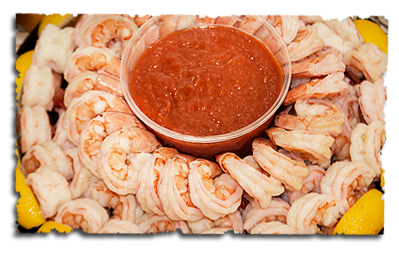 Fish Tales offers a wide selection of prepared seafoods, as well as sweet or savory sauces, marinades, spice rubs and dips for your favorite fish. 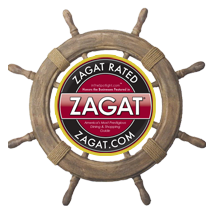 Whether you're looking for a hot lunch, a bowl of chowder or a delicious and easy dinner, our prepared foods are sure to please. Enjoy our homemade hot food items, made fresh to the order! 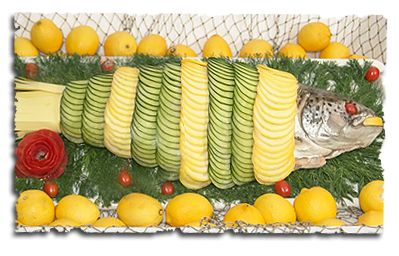 Perfectly cooked & placed on a bed of fresh dill & garnished with thinly sliced green & yellow squash madallions, overlapped to represent scales of a fish. Your choice of any (2) of our homemade sauces, per platter. Allow ½ lb per person. 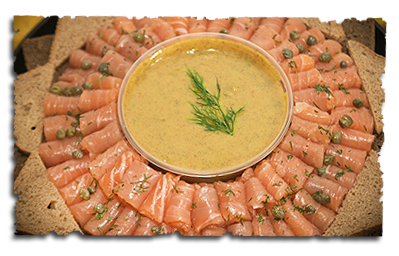 Your choice of thinly sliced smoked salmon arranged with capers, red onion, cocktail bread & our homemade dill sauce. A classy & elegant selection of the finest Smoked Sable, Gaspe Nova, Lake Sturgeon, Kippered Salmon & Whole Smoked Trout. Garnished with capers, red onion, lemon and rye & pumpernickel cocktail breads. 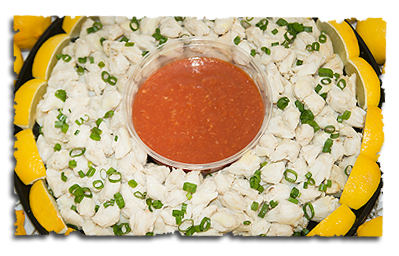 Sweet, Plump & Juicy Chunks of Crabmeat; Beautifully Arranged and Served with Cocktail Sauce and Lemon Wedges. 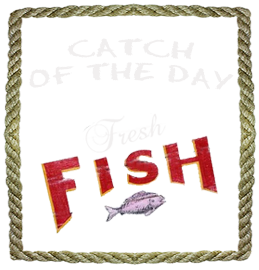 Never again deal with shells, nut crackers, stain splattered clothes or cut fingers! 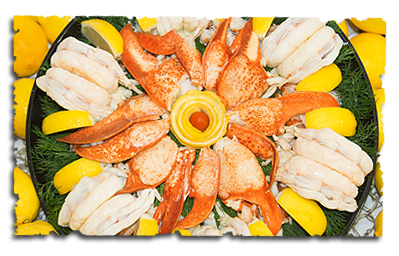 Sweet and Succulent Hard Shell Maine Lobster, Steamed to Perfection. 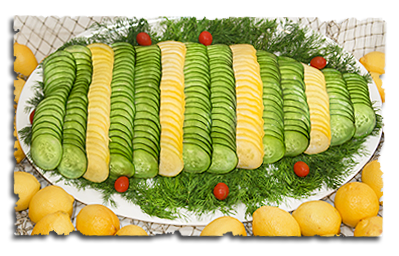 All Claw and Tail Meat Removed & Left Intact, Then Beautifully Arranged On A Bed Of Dill & Garnished With Lemon Wedges. CLASS & ELEGANCE AT IT'S BEST! Perfect for Large Gatherings ! 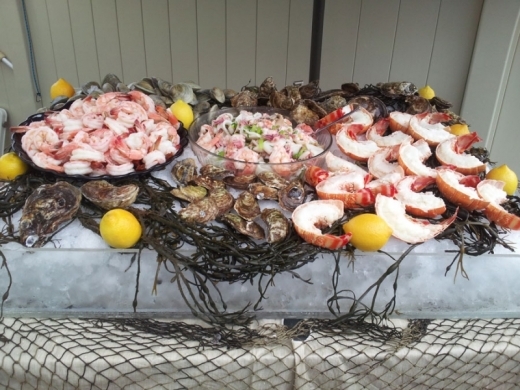 Beautifully arranged on ice & served to your guests by your personal shellfish shuckers. Set up includes: cocktail sauce, lemons, hot sauce, and migonette sauce. Personal shuckers (if needed) $30 per hr.